Mistel are a company whose products I have had the pleasure of looking at a few times over the past few years. They made their entry into the mechanical keyboard market with the split designed Barocco in both RGB and non-backlit models. They have recently released the Freeboard, which was a standalone NumPad and even more recently released the 10-keyless ..
It’s been a busy few weeks with the various events that have taken place, Cooler Master have sent me a care package which included the Nova Touch TKL that I reviewed last week. Today I’m going to be looking at one of their gaming mice, the Cooler Master Mizar. Named as such I believe from ..
Once again Kingston have graced me with a product to review, this time I have been graced with a rather nice Kingston Hyper X 120GB 3K SSD (Part Code SH103S3B/120G) so firstly thank you Kingston! You should all know who Kingston are by now, but if not let me tell you, they are one of ..
Netgear, now theres a manufacturer that I haven’t used in a long time. Not on purpose mind you. Just that networking products are something I have seldom needed over the past few years. Today all that changes, with the receipt of the Netgear D6200 Router. The Netgear D6200 is not the newest bit of kit .. So it happened, a lovely person at Cherry got in touch and offered me a chance to take a look at the new and shiny Cherry MX 6.0 mechanical keyboard. You may have read my earlier post about it over here. I was really excited as it showed that Cherry were interested in appealing to ..
Back, bigger and better. 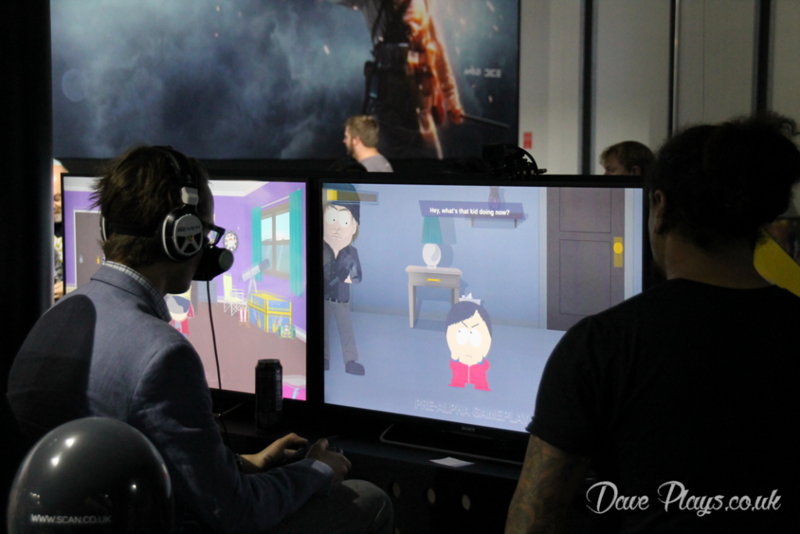 EGX was held once again at the Birmingham NEC over the week and weekend of the 22nd of September. I was lucky enough to be in attendance for the last of those days; the 25th of September. So here’s my “review” of the event. 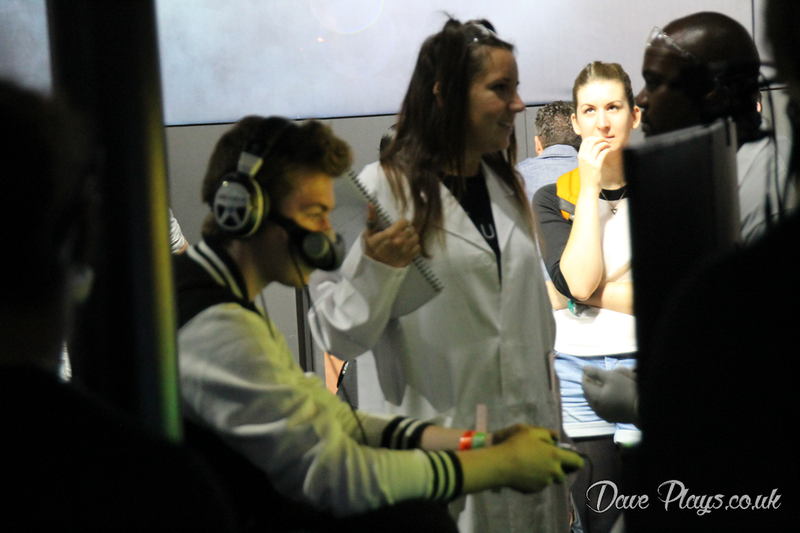 I headed on down to EGX with good friend DanLV (who I stream with occasionally over at twitch.tv/dasyorkie) and this was the second time we had been to the event overall. It was also the second time in as many months that I had been to the NEC with Insomnia 58 being held there a few short weeks ago (read my review of it here). At my request we headed immediately to the Final Fantasy 15 stand, as I had been itching to play it for some time (I have no access to the PS4 demo that was available). We were greeted with a queue which quite promptly shrank meaning we only had 30 minutes or so to wait. 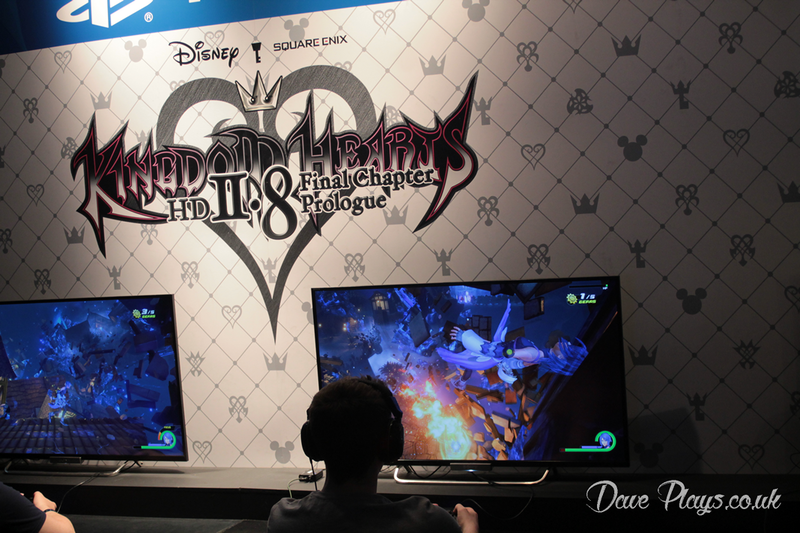 Each player was time limited to 30 minutes on the demo, playable on either X-Box or PlayStation hardware, I plumped for the PlayStation 4 version myself. I was pleasantly surprised with how things felt with everything feeling nice and fluid, and the demo being a nice mixture of tutorial and gameplay. The battle system is a nice break from earlier Final Fantasies and is certainly more action orientated than before. It does get a bit hectic on screen with larger enemies; this being heavily noticeable during the battle with the first boss in the demo. It was also noticeable that the frame rate suffered during these more hectic scenes. The location the demo was set in was vast and beautiful, with it really hammering home the expansiveness of the world in this release. In areas though the graphics and edges (especially the foliage) could do with a bit of anti-aliasing. 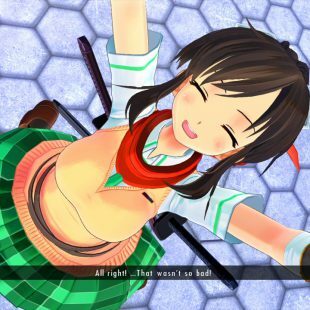 Of course there are still a few weeks before the game is expected to release and the most recent developer video does show a marked improvement in the graphics quality. So it remains to be seen how much they can push out of the current gaming hardware. 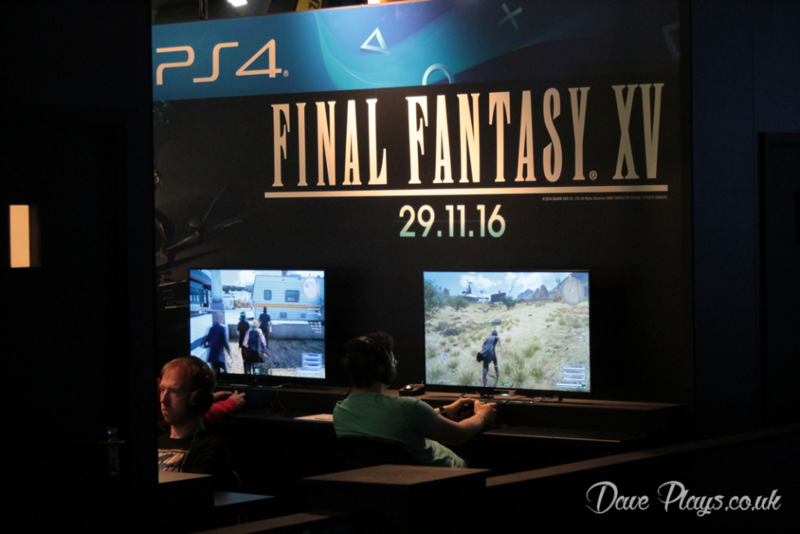 Square-Enix were at EGX in force this year, with World of Final Fantasy, Rise of the Tomb Raider, Hitman (with a special mission) and Kingdom Hearts 2.8 Final Chapter Prologue being among the other games available to play. 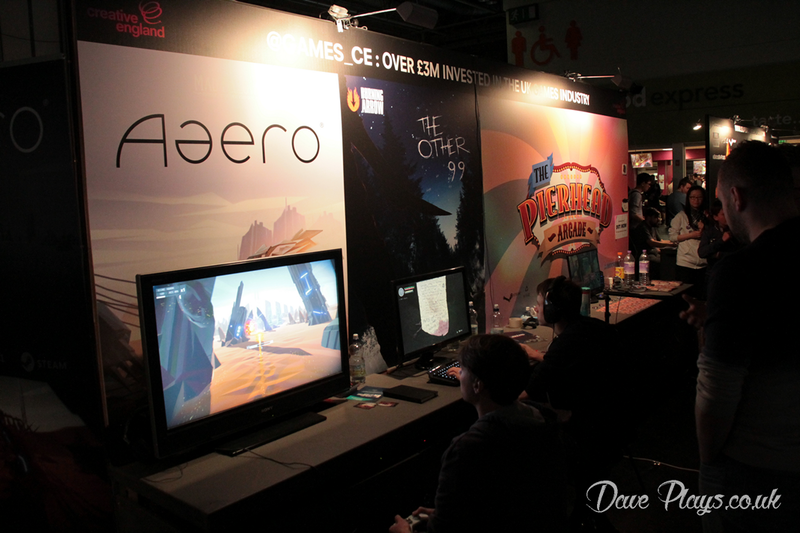 The latter of the lot was another that I really wanted to play at EGX but the queues never really died down so I didn’t really get a chance to have a go. From what I did see however it does look like it will be a nice addition and bridge to the series. As I chose the first game Dan chose the second which was Sonic Mania, a game I had heard little about. A game to celebrate the 25th anniversary it has been made in the style of the original MegaDrive games with the help of Christian Whitehead who helped port the original games to other devices. Two levels were on offer, a remixed Green Hill Zone 1 with a new boss at the end or a Cyber City-esque zone called Studiopolis. After watching the former being played through many times I decided to play the Studiopolis zone. Almost immediately I got stuck and then after getting a bit further I got stuck again. This seemed to be a recurring part of my playthrough of Sonic Mania, however it allowed me to spend more time enjoying the very sharp and neon bright level design. Despite my own inadequacies playing, Sonic Mania was a fun experience and threw me squarely back in my childhood, though thankfully without the Mega Drive gamepad. Of the big three (Sony, Microsoft and Nintendo) only two were showcasing at the event. Sony had gobbled up most of the floor space available. With a display that spanned most of the main event hall. Microsoft were hidden away in a corner of the event in an 18+ only area and Nintendo didn’t even turn up. I suppose I should be a bit easy on Nintendo as they don’t really have much planned for release. Though as big as they are this is no reason for them not to attend in some way. As I highly believe that even the sponsorship or running of a Pokken Tournament would have been a brilliant way to get a lot of user interaction. Anyway enough said about that. Sony as said earlier, had the largest stand space. 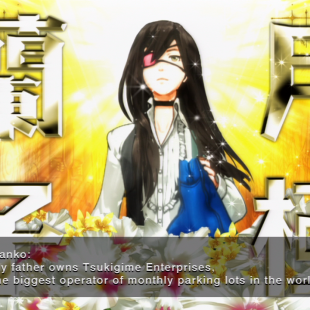 It was almost a show of force, with a huge amount games due out in the coming months. 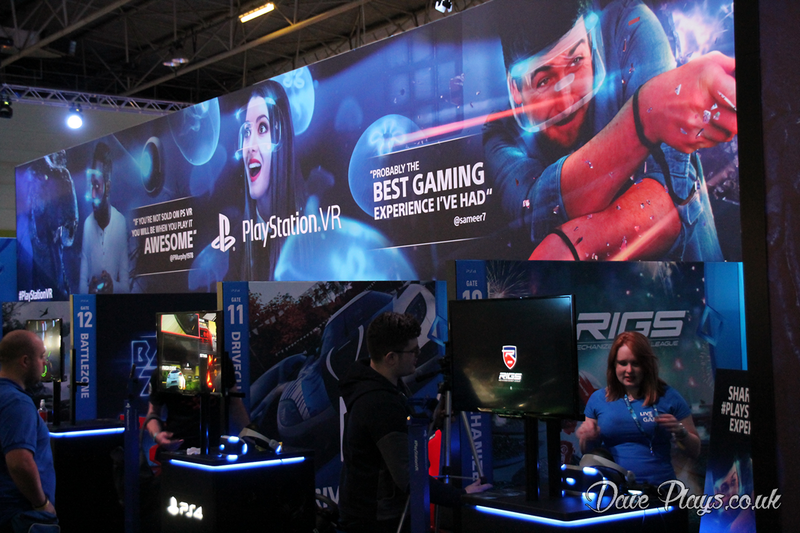 Sony had more than enough space to showcase them, including a larger number of booths for PSVR. 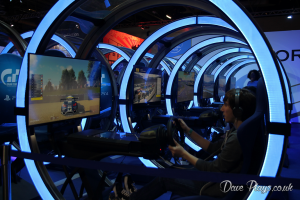 With the Gran Turismo booths from Insomnia lined up, and a stand that bore an amazing resemblance and layout to Microsofts of last year. You were spoilt for choice when it came to finding something to play. The Microsoft booth had a smaller array of games, including Battlefield 1 and Gears of War 4, my main highlight was the small two screen South Park setup which was showcasing the recently delayed The Fractured but Whole. Equipped with Ubisofts own Nosulus Rift, to really enhance that playing experience. Not short of space were regular event sponsors Virgin Media who were running 15 minute matches of Destiny. With a number of prizes given out for the highest scorer. 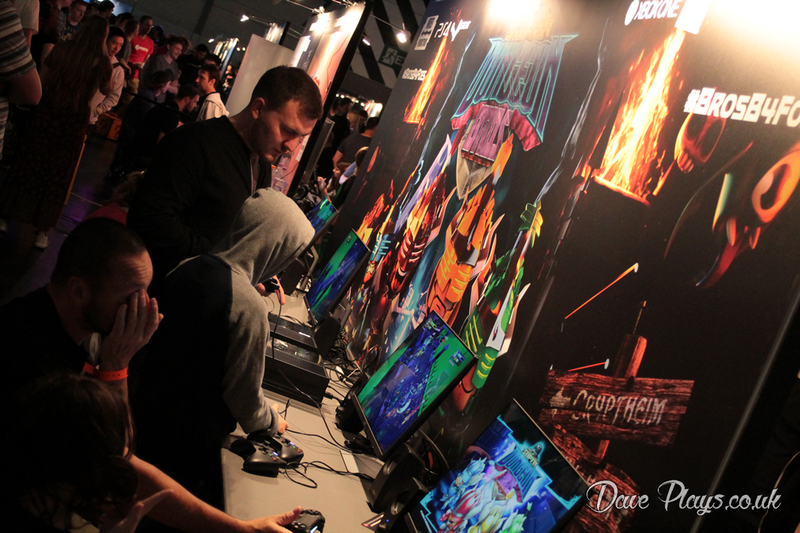 The Indie zone is where we ended up spending most of our time, with me getting Dan to play The Mannequin Game, my highlight from Insomnia. While It seems he did not have the same enthusiasm as I for the game, he did remark how he liked the art style and atmosphere. With a large number of Indie titles to play, we were pretty spoilt for choice. 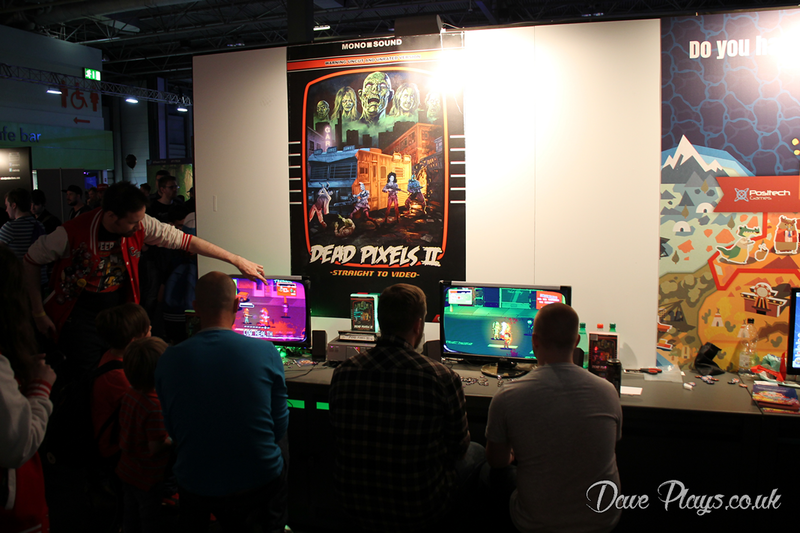 We spent a bit of time playing Dead Pixels II and despite me dying just a bit too often, it will be a game that me and Dan will likely be playing in the future due to its online co-op mode. After being recommended we headed to play Dead Cells, a roguelike metroidvania style game, from Motion Twin. It has a death mechanic similar to Rogue Legacy, in that each death will help you on your future runs, allowing you to gain skills and equipment from your previous and now lifeless bodies. The Other 99 was another game that looked interesting. Very early in development at the moment, it puts you on an island trying to escape. With 99 other inhabitants that would love nothing more than to find and kill you. They also have no problem with killing each other and this is a practical tactic for surviving. You are left trying to find out why and how you got to the island and why these other people are here but making sure you survive the experience is the number one priority. 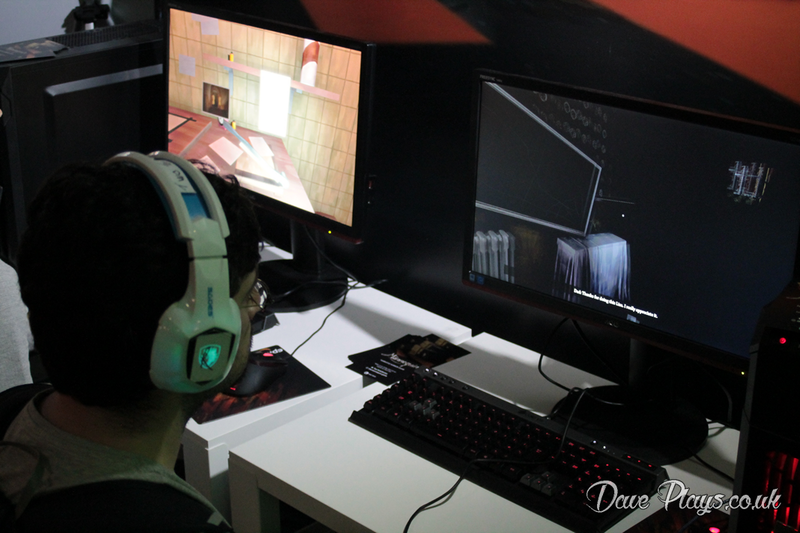 In the code shown at the event, the AI was a bit buggy but talking to one of the guys on the stand it was clear they have big plans and I wish them the best of luck. I really like that there were a number of tournaments on throughout the day for Street Fighter and Tekken. 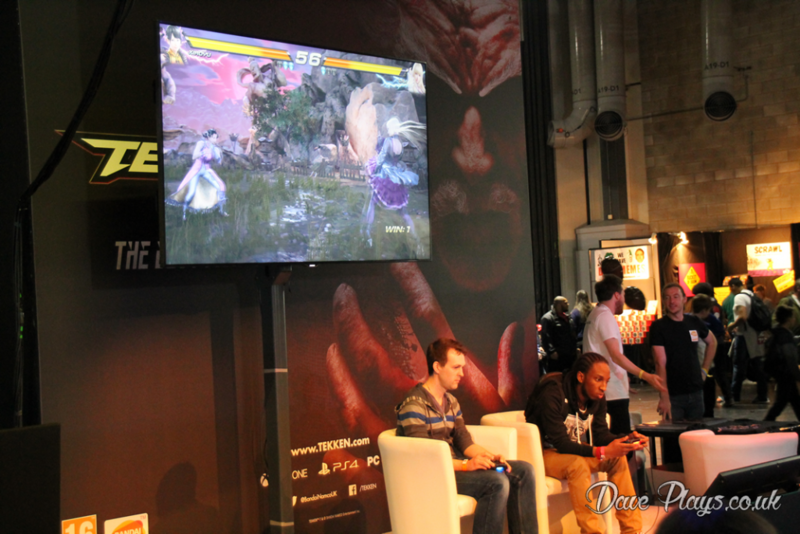 There were some big names including Daigo and Luffy, which lead to some really impressive battles. I only wish I was there for longer as I would have loved to have seen more of the fights. Of the many cosplayers I saw wandering the halls I was massively impressed by the creativity on display, this made it all the more annoying that I wasn’t able to take photos. 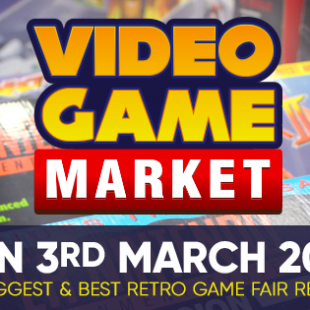 Of course I have probably missed lots of things, being there only one day meant I couldn’t and didn’t get to play everything. 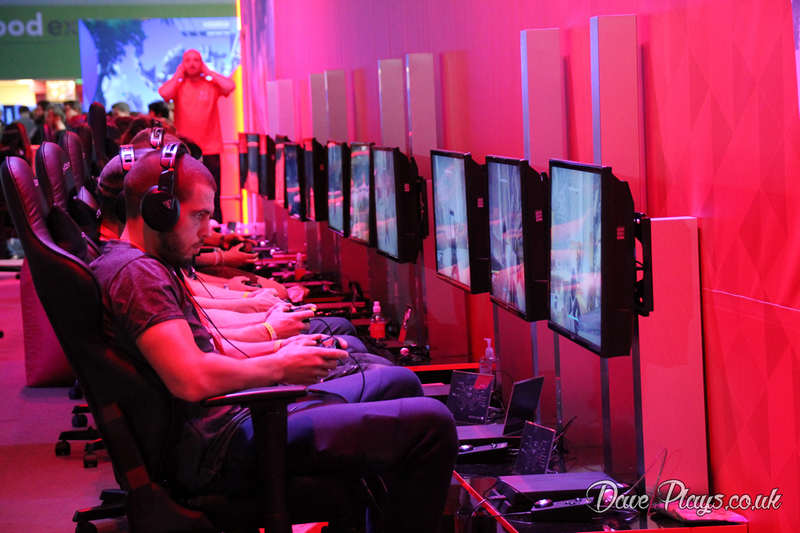 Many of the queues really mean a full weekend would be needed to play all the bigger games. Though with the event being far larger it meant that there was enough variety to keep the queues fairly well under wraps. 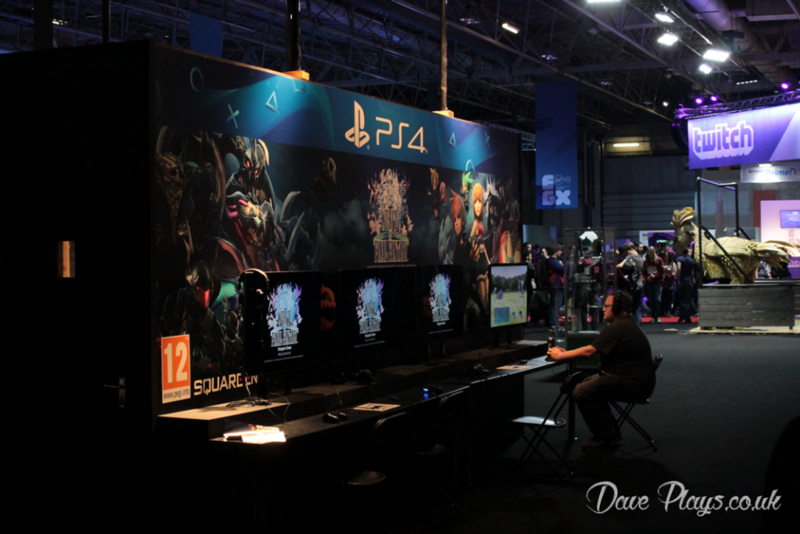 EGX 2016 was a vast improvement and I can’t wait for next years event!